3-Sentence Summary: Young Jacob grew up believing in the stories that his grandfather told him about “the monsters” and about living in a home with “peculiar” children who could do amazing things. Fifteen years old now, Jacob doesn’t believe in these “fairy tales” anymore. But after a tragedy befalls his grandfather, Jacob learns that his grandfather’s stories maybe not be just stories after all. Six-word Review: Boy finds peculiar children, faces danger. I began reading this book because…I had been searching for good book to read online and I came across this. I decided to read it because everyone said it was good. I kept reading because…It had such great use of language and there was tragedy that made me want to keep on reading. I couldn’t get enough of…The imagery that was put into my head as I kept on reading. There was also some mystery and plot twists in this that I loved. There wasn’t anything I didn’t like about this book. If the main character was in a high school yearbook they would be voted most like to…uncover strange secrets about his grandfather and meet peculiar children. 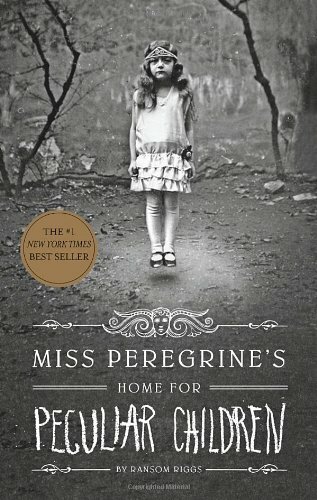 The sequel to this book, Hollow City, is already out, and they’re making a movie! SUCH A GREAT FLIPPIN’ BOOK. 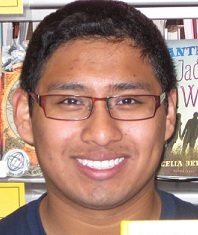 This entry was posted in Read This!, Teen Powered and tagged Book Reviews, fantasy, mysteries, written by teens on April 14, 2014 by Teen Blogger.